I started reading The Points Guy while booking my honeymoon in 2013, and am still learning how to maximize my points and miles. As my husband and I planned our trip to London and Paris, the only thing I knew for sure was that it was easy to “overpay” for flights, hotels and perks, even if we never spent a dime. We were determined to squeeze as much value as we could out of each point and mile, and we learned a lot in the process. 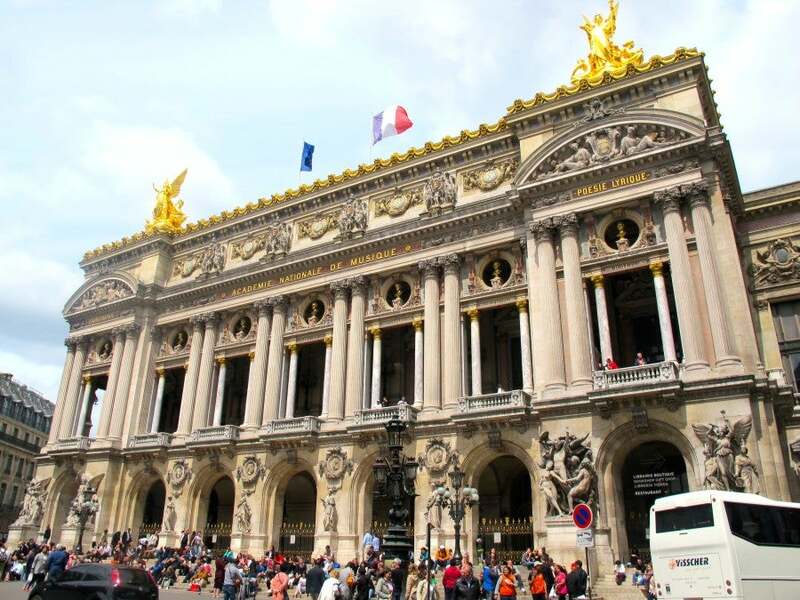 The Paris Opera House is a wonder to behold — and even more enjoyable when getting there doesn’t break the bank. When looking at a variety of credit cards and loyalty programs, you’ll start to see that there are big differences in the value of points and miles. For instance, you might need 60,000 points to book a flight using one program, but only 25,000 miles with another. What this formula doesn’t take into consideration is how easy or hard it is to earn miles and points. Many cards don’t offer especially high earning potential, giving you only 1 or 2 points per $1 spent; however, the Hilton Honors Surpass Card is an exception, giving you 12 points per $1 on certain purchases. To stay in the loop on the values of points and miles, be sure to see TPG’s current monthly valuations. 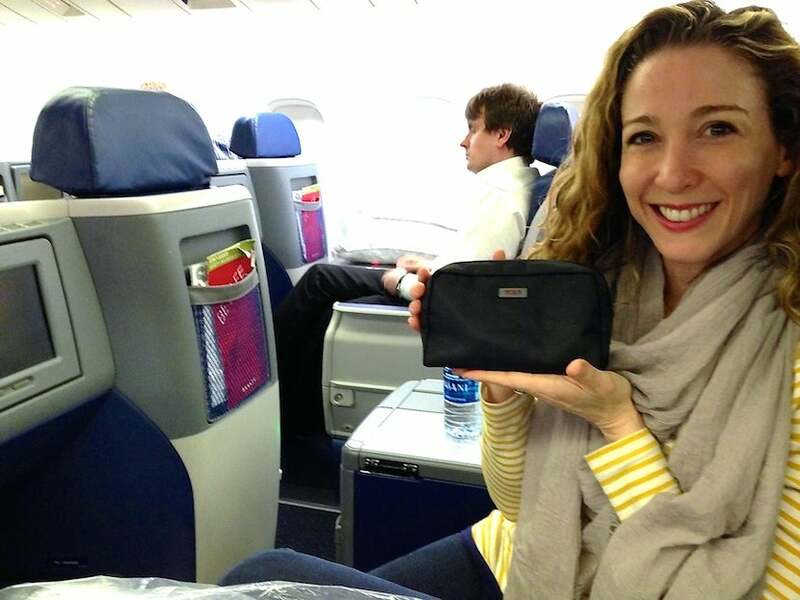 I loved the Tumi amenity kit in Delta’s business class, but transferring Amex Membership Rewards for the flight probably wasn’t a great redemption, in the end. As a cardholder of a couple of Amex cards, including The Business Platinum® Card from American Express and the Premier Rewards Gold, I used to book flights via the American Express “Pay with Points” feature, simply because it was to easy understand the calculation (1 point equals 1 cent, so a $350 flight costs 35,000 points) — but this was a very pricey way to go. Almost without fail, you can get a lot more value out of those same Membership Rewards points by converting them into miles with one of Amex’s partner airlines, which include Delta, British Airways and Hawaiian Airlines; this can easily be done right through the American Express Membership Rewards site. Before making any transfer, I strongly suggest researching the flights you want, and the related mileage amounts, and being 100-percent sure before transferring, as miles can’t be converted back into Amex points. At the time we wanted to travel (May 2015), the prices of nonstop, round-trip tickets to London or Paris from New York City were upwards of $3,100 each for business class and $1,200 each for economy. If we’d paid with points, Jason and I would have had to shell out 120K to 320K points each for flights! After researching options, we decided to fly business class one-way to London on Delta (overnight) and return from Paris on an economy-class British Airways flight (during the day). This helped us to avoid spending money and time returning to the same city just to take a round-trip flight. To redeem for our tickets, we converted Amex points into Delta SkyMiles and British Airways Avios. Note that Richard Kerr, in his post on Amex Membership Rewards for Maximum Value, feels that a transfer to Delta SkyMiles (or “Skypesos,” as he calls them) doesn’t provide a good value due to the airline’s poor low-level availability and lack of an award chart; however, our value of 2.5 cents per point was a bit higher than TPG’s current valuation of 2.0 cents per Membership Rewards point. Conversely, Kerr thinks that transferring to British Airways Avios yields an outstanding value, and I’d agree; despite the fact that our British Airways departure taxes were high, we still saved significantly over the cost of purchasing economy-class fares. 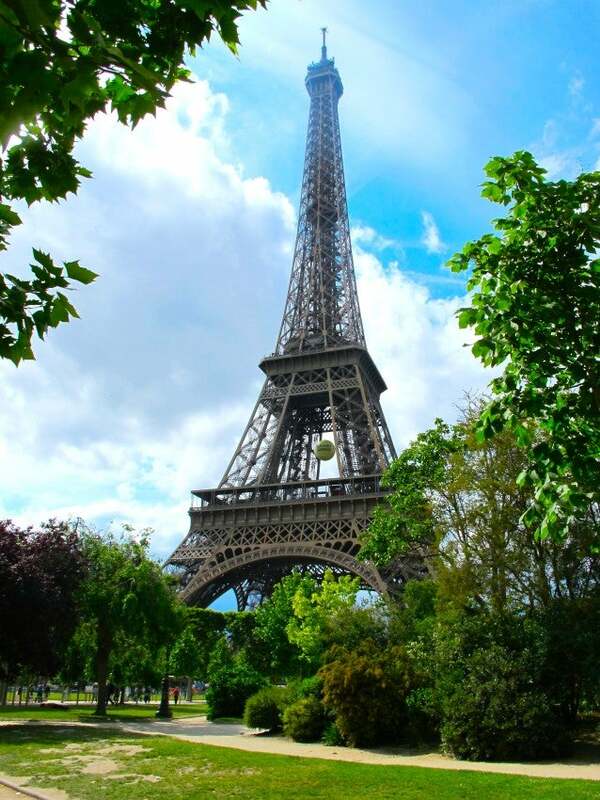 The view we’d been waiting six years to see: Le Tour Eiffel! Most airlines have a 1:1 points to miles transfer rate, but as we discovered, some redemptions come along with significant cash co-pays, in the form of taxes and fees. You can get an even better deal on your transfer if you manage to catch a bonus for moving your points. Jason and I just missed a transfer bonus from Amex Rewards to British Airways Avios (40 percent back in January 2015), but we’ve since spotted a bonus on transfers to Virgin Atlantic. To catch a bonus, read The Points Guy or set a Google Alert for “airline transfer bonus.” Similarly, if there’s a card that you’d consider signing up for if the sign-up bonus reaches a certain level (we’re still holding out for the right Starwood Preferred Guest Credit Card from American Express bonus!) you should also set a Google Alert for that. By catching the right offer, you can often earn 50 to 100 percent more points than you would just for the “standard” offer. Get a list of TPG’s current “Hot Deals” here. 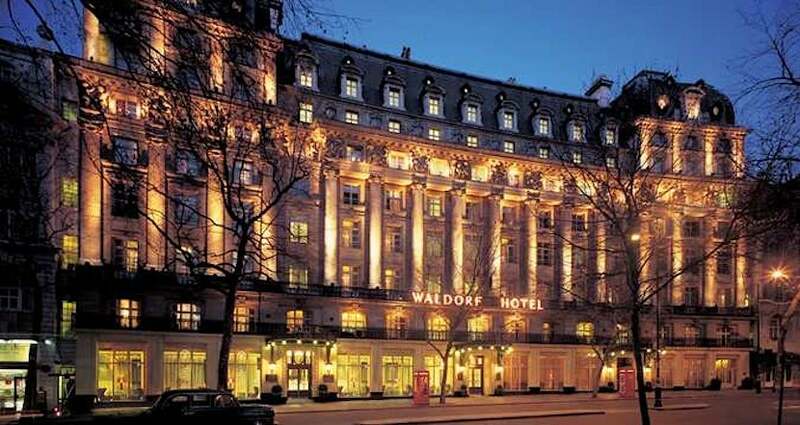 I was excited to use a sign-up bonus for free nights at The Waldorf Hilton, London — I just wish I’d allowed more time for said bonus to clear. Photo courtesy of the hotel. Jason and I have relatively few credit cards in our portfolio, and the ones that we do have (see above) give us the best value when redeeming for air travel. Our goal for this European adventure was to find a card with points that are best used on hotel stays in Europe. Our winner: The Hilton Honors Card Surpass Card, which at the time offered 80,000 points (now 60,000 points) after you spend $3,000 within the first three months (definitely do-able with a new baby), plus complimentary Gold status at Hilton hotels. This sign-up bonus — plus points already in my Hilton Honors account — translated into a two-night stay at The Waldorf Hilton, London. I was thrilled about the potential windfall of this sign-up bonus, but in hindsight, I wish I’d signed up for the card much sooner. Be aware that it may take a month or two to hit a minimum-spend benchmark and see those points/miles post into your account — so give yourself plenty of time to earn (and subsequently book your free stay) before your adventure. Our Hilton Honors bonus only cleared a few days before we left for London, finally allowing us to book our free nights at the Waldorf rather than having to shell out a lot of cash at the last minute. I’d urge you to save yourself this kind of stress! Many debit and credit cards charge foreign transaction fees that range often range from 2 to 3 percent. That may not seem like very much, but those extra dollars can quickly add up — and more than wipe out the value of any points or miles you may be earning during your trip. Jason and I did a quick check of our cards and realized that we could use my Lufthansa Premier Miles and More Mastercard fee-free in Europe. So, although it’s not my favorite card for racking up points, it was worth using it anyway to save cold, hard cash. You can find a list of the top no foreign-transaction fee cards here. If we’d traveled a bit later in the summer, we could have taken advantage of the fact that the American Express Premier Rewards Gold Card just dropped its foreign transaction fees — and now offers a $100 airline credit. Because Jason and I were planning to travel between London and Paris during our trip, we considered using points or miles to fly between the two cities. We quickly learned that it almost never makes sense to do this, as the cost of baggage fees — plus the hours that it takes to travel a very short distance by air — makes a London-Paris flight a pretty bad value all around. 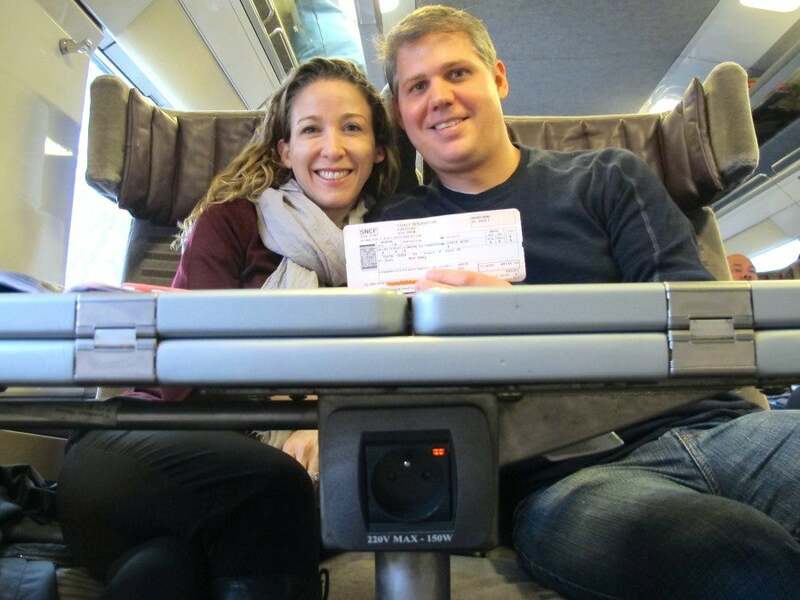 A far better option: using British Airways Avios points to book passage on the Eurostar. If you’re looking for a way to burn some recently devalued Avios, know that you can travel round-trip on the Eurostar in coach for 9,000 Avios, and in Premier class for 20,000 points. The only catch: You are required to travel round-trip, which didn’t fit with our plans. Fortunately, with the dollar so strong against the euro at the time of our trip, it didn’t hurt (well, not as much) to actually pay for our tickets with cash.